DAVIDSON, N.C. – North Carolina Central University tallied a total of 30 hits over the weekend series with Davidson, and once again secured the win late with three runs in the top of the eighth inning on the way to a 9-6 win over the Wildcats on Sunday, April 7 at Wilson Field. NCCU (14-17) scored first this time around as the Eagles plated two in the top of the first on a RBI singles from Corey Joyce (Lexington, N.C.) and Trey Maslin (Franklin, N.C.) after Caleb Coyle (Wake Forest, N.C.) started the hitting with a double. The Eagles tacked on two more in the top of the third on an RBI double from Joyce and a run-producing single from Carter Williams (Brown Summit, N.C.) to move ahead of Davidson (14-12), 4-0 after three. The Wildcats were able to find the scoreboard in the bottom of the fourth as they sent nine to the plate to tie the game 4-4. Vinny Bailey (Raleigh, N.C.) sent the Eagles back ahead on an RBI single in the top of the fifth, but the game was immediately knotted in the bottom of the inning on a solo home run from Eric Jones (Charlotte, N.C.) at 5-5. 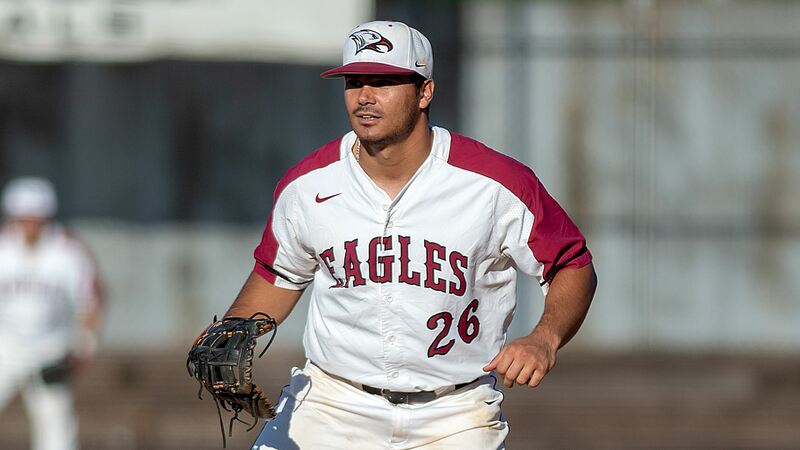 NCCU regained the advantage in the top of the seventh as Timmy Fischvogt (Kernersville, N.C.) worked a bases loaded walk to send the Eagles ahead 6-5. Once again that didn’t last for long as Davidson replied with a run on an error in the bottom of the inning to draw even once more at 6-6. The Eagles finally got some breathing room in the top of the eighth as Maslin laid down an excellent bunt on a squeeze play for an RBI, and Bailey then added two-RBI on a single to push the guests ahead, 9-6. Davidson loaded the bases in the bottom of the eighth, and Ryan Decker (Fletcher, N.C.) was called into the situation with two outs. He was able to hold firm to get a strikeout, and went on to pitch a spotless ninth inning for his third save of the year. Bailey went 3-for-4 in the contest for another three RBI, and he finished the weekend set with six RBI over the two games against Davidson. Coyle went 3-for-5 with three runs scored and a double, and Joyce and Maslin each recorded two hits and two RBI. Williams was the fifth Eagle with multiple hits as he knocked two. Max Bazin (Charlotte, N.C.) had three hits from the leadoff spot for the Wildcats, and Trevor Candelaria (Durango, Colo.) picked up three hits plus an RBI. The Eagles will be back at home on Tuesday, April 9 against Duke at the Durham Athletic Park at 6:00 p.m.